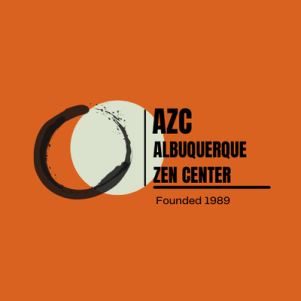 The Albuquerque Zen Center offers daily practice and study opportunities for anyone interested in exploring Zen Buddhism. It is the oldest continuous community urban practice center in Central New Mexico, with a diverse sangha drawn from many walks of life. AZC was founded as a not-for-profit 501 (c)(3) corporation in 1989, when Kogan Seiju Bob Mammoser, Osho, was invited to move to Albuquerque by a group of people who had been sitting together informally for a number of years. As the sangha grew, the need for a new permanent presence became apparent. A major fund-raising effort resulted in the construction of buildings on a donated lot a few blocks south of the UNM campus. Designed by local architects Claude and Donna Armstrong and built by contractor Juan Levy, AZC opened in its new quarters in May 1997. Gracing southwestern architectural components with Japanese aesthetics, the complex includes an adobe zendo (meditation hall) with translucent walls meant to evoke shoji screens, a main building with monk's quarters, meeting room and a library and a building housing bathrooms and the shoji room. The grounds have been carefully landscaped over the years with a combination of drought-tolerant southwestern plants and a dry boulder-strewn Zen garden, creating quiet spaces for students to take a quiet break from the busyness of their daily lives. AZC offers a rounded practice of daily zazen, samu (work practice) and study, with a schedule tailored to the rhythms of lay life. Students are encouraged to deepen their practice by participating whenever possible. The center also brings member together informally in social settings like potluck dinners, picnics and camping trips.